The video below gives you a quick breakdown on one of the ways that I use Evernote in my business when working as a buyer's agent. I have set up the notebook and the note for the buyer off my laptop, keep in mind you can do the same thing on your iPad. The only thing you can't do is attach the PDF listing sheets, that's why I prefer to do it off my laptop. In between each of the addresses that I am showing is where I keep my notes on the properties we are looking at. I also use my iPad to take photos of the property and also to record some answers to questions that I ask my clients as we are going through the home. Once all of the pieces to the Home Viewing Puzzle are in place, or at the end of the tour, I email my client the note that I have created for them. It sends them a nice and neat package that will not get crumpled in their back pocket or lost between the seats of your vehicle. 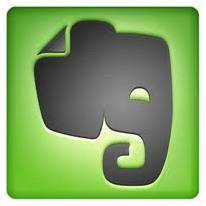 I hope the video inspires you to start using Evernote in your business...I know it is daunting to get started, but trust me once you start...You.Won't.Be.Able.To.STOP! Now Watch the Evernote Video Below!